I am a cast member on season 3 of My Giant Life on TLC!!! Errrrrrrrrrr. Stop the record. What!?! Alicia. That giant word goes against everything you stand for right? The word GIANT had held me hostage since the first bully pierced me with it. It used to obliterate my confidence and crush my soul. In fact, when the show first came out I BLASTED it on my website. How dare they use that word in a show about tall women! I was ready to ride out with a sign, start a hunger strike and camp in front of the TLC headquarters in solidarity for my tall sisters. I refused to watch it and didn't until one day when I was approached to be on the show. I watched season 2 and elected a committee comprised of friends and family to watch it too. After the viewing party, I thought it would be a great way to share my story and an amazing opportunity to be the first African American on the show but just couldn't get over the title. Then, I started getting emails, texts and comments (from people that had no idea that I was being considered for the show, many I didn't even know) telling me that I should be on it. It was confirmation in so many ways but I STILL couldn't get over the word. I continued to explore the process, prayed like crazy and sat down with the only person in this world that I know would give it to me straight...my Mama. You do have a Giant Life she said. BOOM. The light turned on. I was still letting THEM WIN. I was letting their definition of a word become a fact in my life that was holding me back from my purpose. I was still believing a lie. I was letting the bullying linger and lock me down. 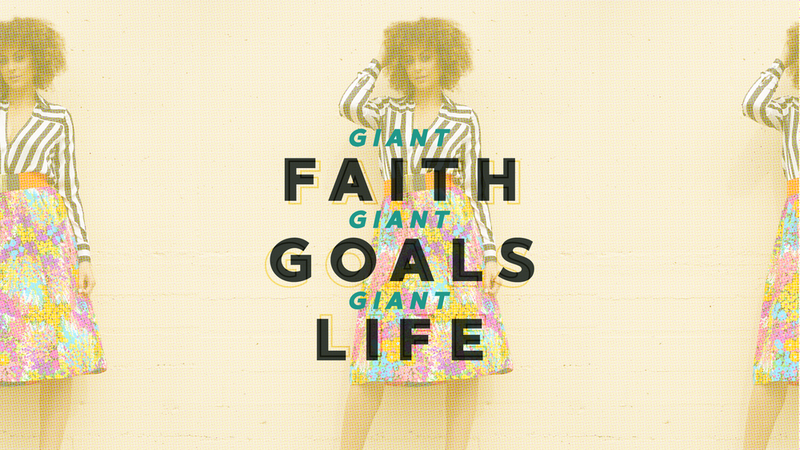 The truth is that I have GIANT faith, giant goals and an amazing, beautiful, God-given giant life that I am going to share with the world soon. I shared a lot. From my virginity to issues with self-love, I bore pieces of my soul. I still shudder at my vulnerability at times. It's a gamble for sure but it's something I feel God has placed in my life for a reason. I am a ball of terrified excitement, placing faith over fear and I am so blessed to have you right there with me! I will keep you updated. The coming weeks will be full of new experiences that I can't wait to share. Buckle up baby...it's time to jump in with both 12's...let's go!